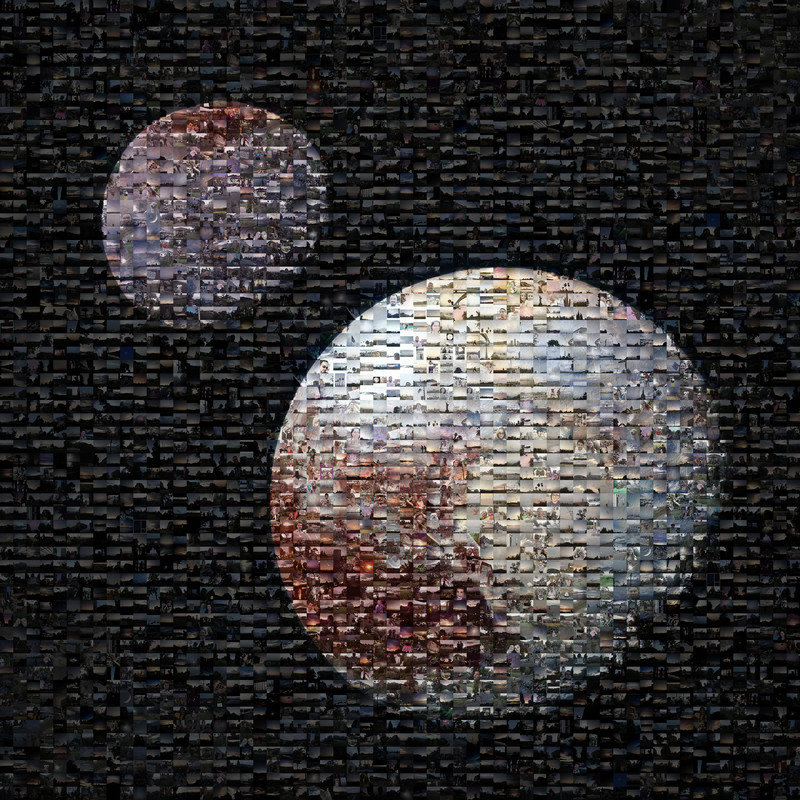 Mosaics are awesome. ‘Normal’ (what is the proper term?) mosaics created out of bits and pieces of glass, stone, wood etc. are great but few have the time or skill to assemble one. 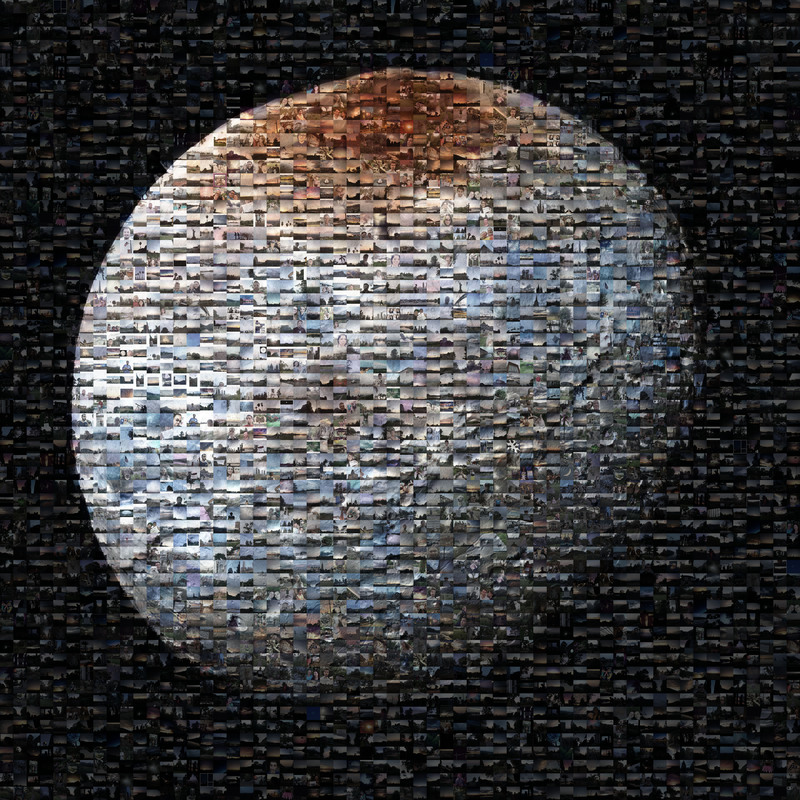 Photomosaics, on the other hand, are, I discovered, much easier to create — you basically click some buttons. 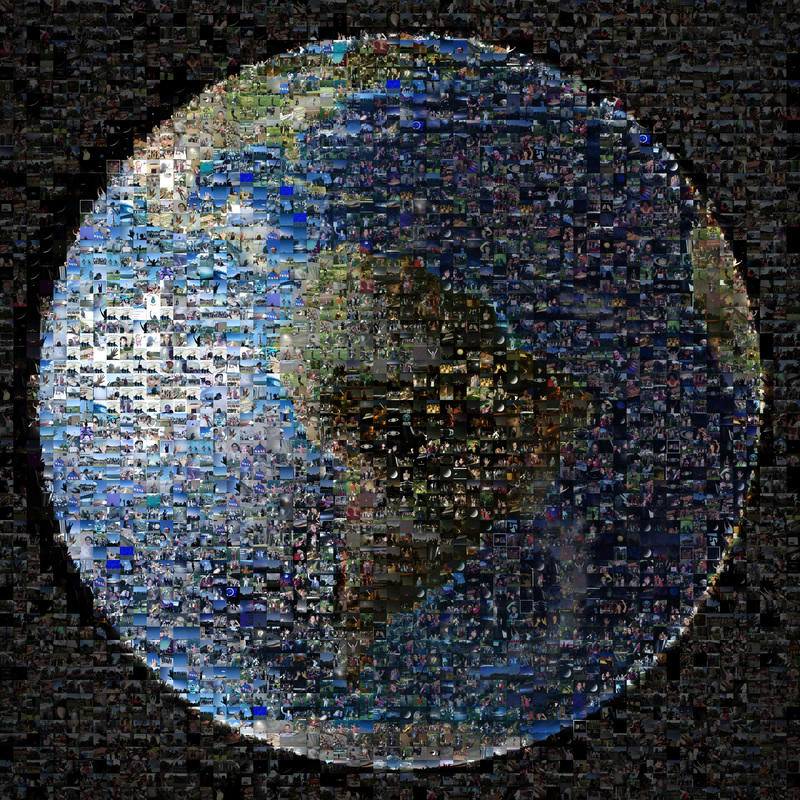 It was this particular mosaic — the one above — created by NASA using submissions made through the #WaveAtSaturn campaign which spiked my interest. I had then strained my puny Sony Ericsson T715 to download the image. Those days! As you might guess, I couldn’t possibly dream of creating one myself. 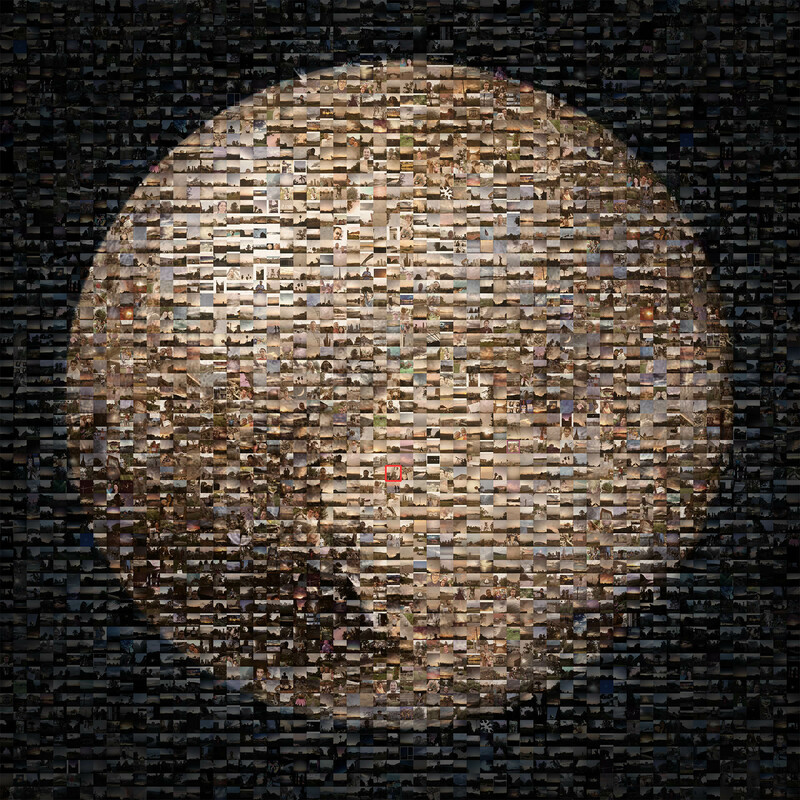 Now, last year, the New Horizons team did a similar thing with images submitted using #PlutoTime. And by that time, I had enough processing power but quite not enough skill. Fast forward 10 months and I have cracked the code, kind of. It is extremely easy. And Photoshop 7.0 or higher along with, of course, basic to intermediate skills if you want to tweak the finished result. But this is not a necessity. Download, install and run AndreaMosaic. Get it here. Select the aspect ratio of your photos. DSLRs and many newer phones will capture 3:2 pictures. Almost all point & shoot cameras most older phones will capture at 4:3. Select the combination of landscape and/or portrait photos you want. Patterns will appear showing how the photos will be arranged. Select what percentage of tiles to split into two. It’s a way of getting more pieces out of a given number of tiles. Select what percentage of tiles to split into four. Similar to the previous one. Specify the number of times you want a single photo to be used. 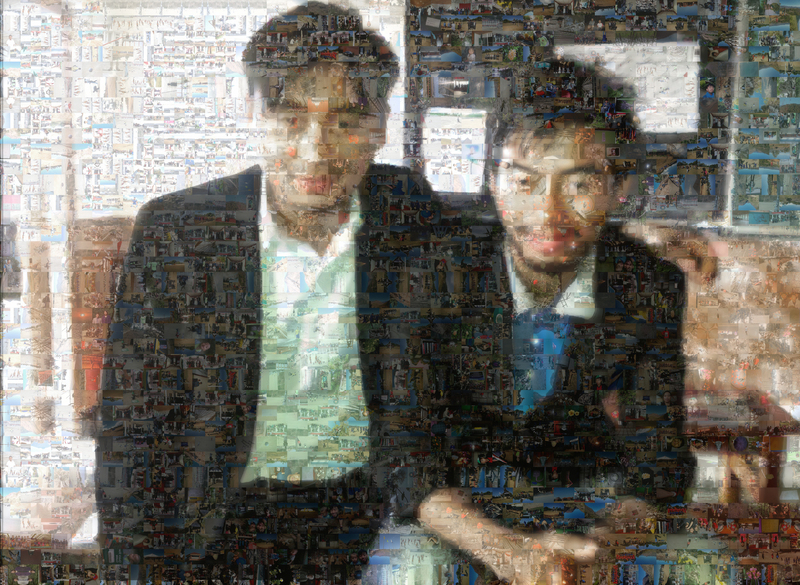 Specify the minimum number of tiles between two identical photos. Assign the percentage of color alteration. The greater the percentage, the smoother the result. It’s self-explanatory. The more boxes you tick, the better the overall result. Add the photos that will be used for creating the mosaic here. You can include as many folders as you want using ‘Add Folder’. Then save it with ‘Save List’. Your first attempt will probably not be a success and neither will your second attempt. Tweak the parameters and repeat. If you get black bars in the finished image, the pool of images is limiting the software. Increase the number of times an image can be duplicated, enable rotation and flipping or, better, add more photos. Use common sense. If, for example, the base image is colourful, the photos used should also be equally varied. Some features — like the maximum resolution — are limited in the free version. After a number of trials, you should get something like this. (It was the 4th attempt.) The base image is me with a friend in class. It’s here if you are curious. It’s alright but as you can see, there is lot of blue on our blazers and the faces are unnaturally yellowish. These can be corrected using pretty much any of Photoshop’s almighty adjustment layers. I created a Hue/Saturation layer for the skin tones and Selective Colour layer to tone down the blues. But while you are at it, make sure to mask the regions that do not require adjustment. And this is the final result. It’s quite pale, yes, but that can, again, always be corrected. All screenshots were taken with Apowersoft Free Screen Recorder. I hope Sammie won’t mind my using his picture. (Shhh! He doesn’t know). And thank you NASA for the inspiration. If you want more from NASA, click this, this, this, this and this.